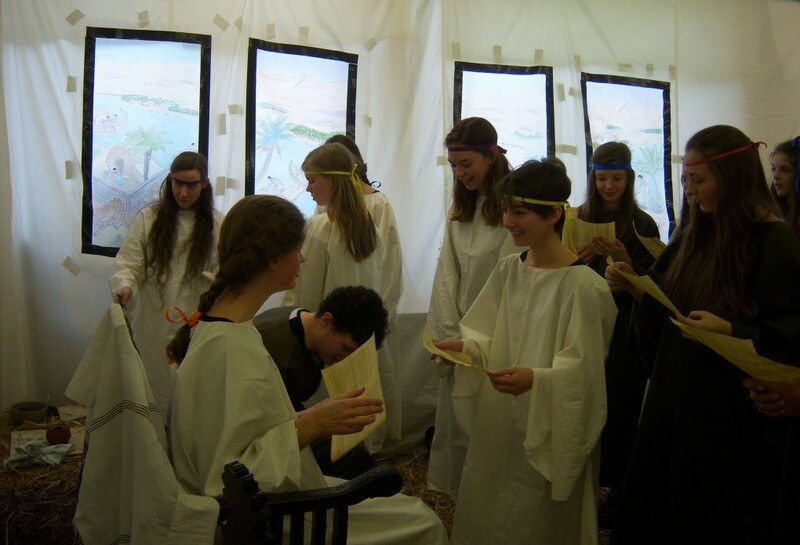 The Reading ancient schoolroom offers secondary schools an exciting and innovative approach to GCSE and A-level study in Classical Civilization, Ancient History, and Latin, as well as a fun, encouraging introduction to what a university campus is like. Academically, the event aims to present cutting-edge research about the ancient world in a way that secondary school pupils can enjoy and benefit from. We can tailor the lessons offered so that every child receives instruction at a level and in subjects relevant to his/her background and course of study. The event is ideal for students who might not be considering university application because of unfamiliarity with the higher education environment. Participants meet current Reading undergraduates and staff members, visit our beautiful and friendly campus, and see for themselves that universities can be for everyone. A visit to the schoolroom can be combined with campus tours and informal discussions with admissions tutors if desired; it is not an open day, and therefore the emphasis is less on Reading as a particular higher education choice than on exploring the concept of university education in general. A lesson in ancient mathematics, involving calculations on a counting board or abacus. The ancient methods of doing complex calculations were fundamentally different from our own, with some tasks being easier and some harder than with our system; in this session we can explore mathematics at a variety of levels, depending on the students’ backgrounds and interests. An introduction to Latin, using materials composed in the Roman empire to teach Latin as a foreign language. More advanced Latin, for pupils who have already been studying the language. This lesson can be matched to students’ prior levels of attainment. A tour of the Reading University campus. The chance to talk informally with current undergraduates and staff and to ask questions about the admissions process and the university experience. For dates, bookings, and contact information, see 2018 Schoolroom.